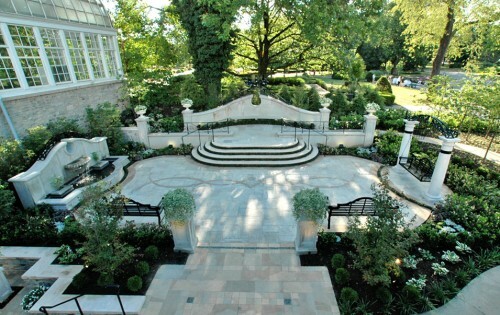 The landscape design market is booming. But what is booming along with it is the market of the online software that actually helps you design a landscape for your own house. I think it is a brilliant innovation. The advantages of the same are manifold. Not only do you save on the money that you would be giving to a professional landscaper, you will also actually be putting yourself into the design. Each and every corner in your house can now be a reflection of you and your family. People in the United States spend a huge amount of money in landscape architecture as property is considered as the most important investment there. After all, it is an investment that will bring years of enjoyment, peace and harmony at your property. However, it is very important to understand all aspects of landscaping so that the money is not wasted and also that your landscape architects do not cheat you. Also, it is very vital to understand that the landscape should reflect your personality and not vice-versa. So do not overdo anything. While choosing a landscape design for your house, considering the geographical and climatic conditions of your area is of utmost importance. For example, planning lush green lawns bordered with exotic flowers in an area where drought is a high possibility would be rather foolish. In contrast, a rock garden in a rocky terrain would be a fantastic idea. Also, in an area where water is available in plenty around the year, a water feature like a pond that reflects the sky and the surrounding surfaces can add depth and dimension to your landscape. Along with the softwares, there are also a huge number of online websites that provide help. Some sites are owned by professional landscapers who fill their website with beautiful pictures of what they could your backyards into. However, some are in it for the pure pleasure of landscaping and fill their sites with very useful home landscape design ideas and tips. Plan 3D: is an online landscape design service that helps you create home landscape with features available for walks, drives, patios, trees and planting. It lets you view your design from any angle. Instant Architect Home (Broderbund Software): provides the ability to design your own home or landscape and is very intuitive in nature. Hence, no previous experience is required. Fences and Gates: software helps design fences and gates in an artistic manner. It also provides a list of all the materials that will be required to build the fence after the design has been finalized. 3D Home Architect Home & Landscape: provide easy to use home and landscape design solutions, which also contains a complete set of landscape design tools. It uses the latest design techniques and technologies to make designing a very enjoyable experience. 35 Do It Yourself Backyard Project Plans: allows building 35 different projects for your backyard. It allows a combination of 10 sheds, 3 playhouses, 3 gazebos, 3 arbors, 2 picnic tables, a deck, a doghouse, a sandbox, fence and a loveseat. This is very inexpensive software and permits printing of plans. Realtime Landscaping PRO (Idea Spectrum): helps you visualize even the most demanding landscape design projects. Using the latest advances in 3D technology, even beginners will find it easy to plan and visualize design ideas. Realtime Landscaping PLUS (Idea Spectrum): helps create highly realistic 3D and photo based landscape designs. This software is ideal for homeowners as well as professional designers. The plus point is that no CAD or prior architectural experience is required.